Candy Crush Soda is the follow up of the Candy Crush Saga, released by the game producer King. This game combines many features of the original mobile game as well as newer innovative ones. It is very easy to pick up and gets quite interesting in a very short span of time. The cool improvements to the game include the different direction in which the candies can be moved, unlike other games where they can only fall down. The game also catches up steam pretty fast, thus getting more challenging with each subsequent level. The game comes with many different levels and each requires a particular strategy. 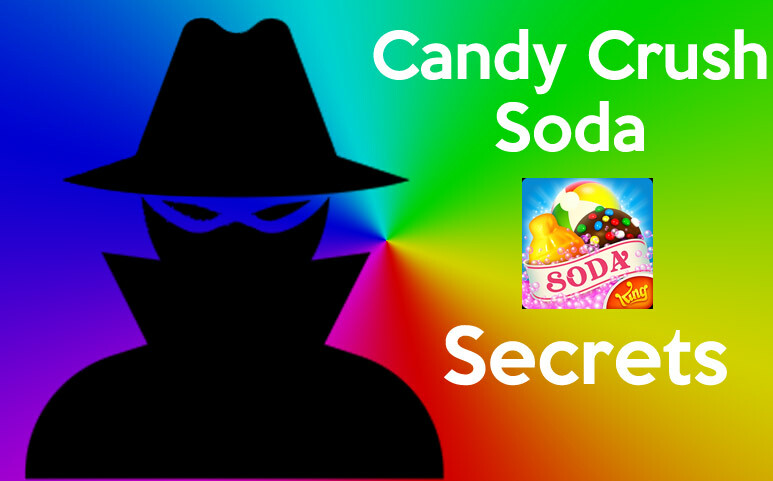 Given below are a few Candy Crush Soda secrets that will help you stay ahead of the game. These are the starting level and comparatively easier to play. Upon popping open a bottle, the soda level increases. You will be required to take them to a certain given level so as to complete the level. Frozen levels are those in which the bears remain hidden under ice blocks. You will have to find and free all the bears in that particular level only after which you will be allowed to move on to the next level. Bubble levels are those that come with a floating bar and a candy necklace placed at a certain height. You are to first release the bear and increase the soda level so as to get the bear above the necklace. Chocolate levels could be comparatively more difficult as they come with a timer. You need to remove all the chocolate blocks as quickly and in as little moves as possible. If you fail to do so, the chocolate could spread to other blocks, making the game more difficult for you. These levels are filled with honey blockers with a bear inside them. You will have to get rid of the honey and release all the bears so as to move on to the next level. Candy crush soda comes with a number of obstacles like the cupcakes and the wired cages. These obstacles limit the movement of the candies. Therefore, it is best to have them removed before you can actually proceed with your plan. Boosters can greatly change the dynamics of the game and help you beat Candy Crush levels. These can help you free the candies in strategic locations, making the follow up easier. For e.g. you could create a fish by matching a block of four candies. The fish can swim away and remove an obstacle thus making it easier to move around the candies. Most of these boosters are the same as that of candy crush saga. Lollipop is one of the powerful boosters and it can be used to remove an obstacle which is otherwise impossible to remove through other combinations. You should, however, save the more effective boosters like a color bomb for later in the game where you could run out of all moves making it impossible to free some obstacles. The annoying thing about candy crush is that if you run out of all the lives, you will have to wait for a certain period of time till the lives get recharged. If you are not patient enough to wait, you can simply use a candy crush cheat and change the time and trick the device into giving your more lives instantly.